Anorak is on a mission to build the world's smartest life insurance companion. Based on proprietary technologies, Anorak has built the world's first fully automated insurance advice platform. Anorak gives everyone easy access to regulated and personalised life insurance advice. Its platform and APIs are integrated by partners so that people access life insurance options whilst using everyday services. The company has received £9 million in funding to date from Kamet Ventures and is headquartered in London, UK. Artificial helps insurers with the distribution, pricing and negotiation of risk. From the digitising of processes to the application of machine learning. Azur is a Managing Digital Agency; we build, underwrite and distribute digital insurance products on behalf of carriers. Bikmo exists to enable you to ride more. We build epic insurance products to protect our customers for unexpected events, use technology to make taking out and managing your policy ultra-simple, and provide an exceptional customer experience through our team of bike geeks. Bluesona was formed specifically to provide data and solutions on mobile phone use while driving, while assisting insurance companies with their claims and underwriting requirements. We harness the power of data, to build the telematic services of the future with a specific focus on phone usage. Our technology has been developed with the primary aim of monitoring and acquiring driving data. 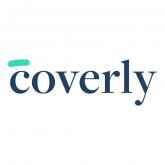 Canopy is a digital rental marketplace on a mission to help millions of Renters achieve greater financial resilience. We are focused exclusively on the needs of Renters of the 21ST Century, and only offer services that will have a meaningful impact on the lives of Renters. Claim Technology are the first company to offer Claims-as-a-Service (CaaS), innovative cloud-hosted solutions to automate any customer journey within the claims cycle. Our Artificial Intelligence and machine learning technology automates your claims processes, enabling your customers to self-serve via our intuitive conversational chatbot. Delighting the customer, our solutions streamline operations, provide future-focused functionality and reduces operational and indemnity costs. Concirrus is the creator of Quest, an artificially intelligent insurance software platform used and trusted by insurers, reinsurers and brokers within the London and global markets. With machine learning analytics and vast industry datasets, Quest enables marine and motor insurers to actively manage their risks in real time and insights that are otherwise impossible to achieve. As a result, insurers are able to offer improved products and risk pricing that reflects the needs of their customers. Concirrus was founded in 2012 and is based in London. We believe insurance should be easy for small businesses. You have enough to worry about whether you are just starting out, or are hungry to grow. Sometimes you feel like a “jack of all trades”, and sometimes it’s midnight when you do your admin, because your days are focused on keeping the cash coming in. We get that, and we want to do our bit by making your day easier. We believe that customers should be getting insurance from their favourite online companies. Starting with simple policies that don't require a doctorate and super quick claims assessments with instant payments, our smart suite of products have been used by millions of happy customers in over 60 countries, all distributed by the world's largest online companies, from a single API call. Helping financial institutions manage their compliance activities cost effectively by simplifying and automating the world of Risk and Compliance. Equipsme provides practical health and wellbeing support plans to SMEs. We've teamed up with several HealthTech providers to create a product that supports businesses where they and their people need support the most. Unlike PMI, the product is designed to be used from Day One. Benefits include 24/7 access to a NHS registered GP, smart finger-prick blood tests and a single price for everyone on cover, regardless of age. Equipsme is currently distributed exclusively through insurance brokers. We are backed by AXA PPP, which is also our provider of diagnosis, physio and treatment for customers. At Evari, we are passionate about smart technology and its capacity to improve the world of insurance. Our aim is to make the insurance process more intuitive for customers, so they can more easily access and manage the right insurance for them and to empower insurers to utilise data to enable both a better customer experience and more accurate underwriting and pricing. At FloodFlash we are making the world more resilient to catastrophic losses. We strongly believe that our event-based insurance is the most efficient, affordable way to transfer the $41bn/year of uncovered flood damage away from the people, businesses and governments that currently foot the bill, and on to the insurance firms who are built to take it. Hokodo is a fintech startup that uses innovative technology to develop B2B insurance and finance solutions which can be deployed seamlessly into the platforms that companies use on a daily basis such as trading marketplaces or accounting packages. Thanks to Hokodo’s developer-friendly APIs, B2B platforms now have an easy way to expand the range of services that they offer to their users. At the same time, insurers and financing partners enjoy access to a cost-efficient way to source attractive risks. Honcho Markets operates a real-time reverse-auction marketplace, honcho, for the competitive distribution of insurance products. Standing as a true consumer champion honcho brings openness, transparency and equitability to the insurance distribution market, where our users #PlayHardToGet for their insurance needs. honcho's mission is to revolutionise the way people buy products and services, saving them time and money and our vision is to be the largest reverse auction marketplace for financial services. Cloud-based Software solutions for MGAs, Insurers and brokers enabling them to manage sales from start to finish and administer all insurance policies. We work towards digitising insurance distribution and administration. Leading to more innovation and lower costs throughout the value chain in the short term and a worldwide insurance distribution network in the long term. 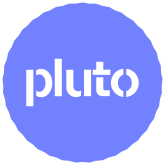 Founded in 2015 by an insurance and a tech nerd to reduce friction within the interaction of policyholders and insurance providers. Providing InsurTech as a Service to enable insurance carriers to time- and cost-effectively deliver customer-centric products directly to the policyholders or intermediaries. Vision to create a Visa/Mastercard transactional infrastructure to deliver the right insurance at the right time, in the right place, at the right place. Konsileo is a commercial insurance broker founded in 2015 built around efficiency, professionalism, collaboration and client service; leading to happier brokers and happier clients. By combining the importance of face-to-face advice with the latest in data and analytics, along with best in class technology to not only insure clients’ businesses but to anticipate and prevent future risks in the long-term, we can support the development and growth of our brokers whilst also delivering the best service for our clients. Laka offers crowd insurance powered by the community. Built around affinity groups, Laka charges customers at the end of the month, based on true cost of claims, up to a personal cap, resulting in full transparency at a lower cost. No claims in a month, no pay. Marmalade is the leading provider of car insurance and cars for young drivers. Founded in 2006, it helps young drivers get behind the wheel, keeps them safe, improves their driving skills and saves money. As a champion of young people, Marmalade provides a range of products that specifically meet the needs of young people – and their parents – today. now4cover build and distribute digital insurance products for the connected generations. We’ve started with a fully flexible home and residential landlord solution. We cover all types of property, all uses and types of contents and personal possessions. Customers get a bespoke product designed to their individual requirements which can adapt over time. We’re on a journey to create a completely autonomous insurance solution by continually connecting to data and hardware. Phinsys delivers innovative software solutions to improve finance and accounting processes for the insurance sector. We are focused on helping our clients improve their regulatory compliance and reduce operating costs through back-office automation and removal of manual processes. Pikl was founded in 2016 by a small team of insurance professionals who participated in the Sharing Economy. They saw a huge gap in the market created by the lack of cover between traditional Home and Landlord Insurance and the Airbnb Guarantee. Since then Inlet have led the way in the UK, developing new insurance products for this growing market, many of which are industry firsts to ensure that people can get properly protected. Travel insurance for people who don't like insurance. Easy to understand. Hassle-free claims. On your side. PolicyCastle is a digital insurance distribution platform. PolicyCastle's technology supports two solutions: a broker under the PolicyCastle brand, focused on home insurance and a platform as a service for insurance distributors, enabling pricing, fulfulment, servicing, claims handling and management information, allowing smartphone-first customer interaction and back office cost savings. Policy Expert launched in 2011. Within two years we became the number 1 rated UK home insurance providers on Review Centre - an accolade we have held ever since. More recently we have been voted 'Home Insurer of the Year' 2017 and 2018. Today we are one of the fastest growing home insurers in the UK, now insuring over half a million homes. PremFina ("PremFina Limited"​) is a UK-based premium finance company. Not only are we the newest provider on the block, we’re also different. Whether it’s our funding or self-financing, we let brokers choose how to finance their customers’ premiums. With PremFina, brokers can enhance their brand and customer journey with our white-labelled system, complete with branded documentation via our Software-as-a-Service (SaaS). Flexible, robust, modular and scalable with 300+ API integration, our software is state-of the art, making existing processes automatic and simple. Not only that, we have also received investment from investors who previously backed game changing companies such as Skype, Tesla and Space-X. Qlaimstech Ltd is a division of Qlaims Ltd. We are an insuretech business specialising in the provision of claim solutions for the insurance community. The core propositions are live video streaming direct to the customer and via a network of remote 'Responders,' and drones for claims. Shepherd is a software platform that provides risk analytics for property management and insurance. Using machine learning and IoT data we decrease the time to discover and alert to property and compliance problems thus reducing losses for all parties. SO-SURE is restoring consumer trust in insurance by taking insurance back to its 17th century roots, using its proprietary model and technology. Ambitions are global, across consumer lines and they launched with mobile phone insurance. They are now looking to expand across possessions to home insurance. Tapoly offers commercial insurance to freelancers, contractors, and small businesses on demand, as well as bespoke insurance products for marketplaces. In addition, we offer data-driven software as a service for insurers, brokers and corporate partners who wish to offer on-demand and bespoke products at low cost. We are a Managing General Agent and a member of Lloyd’s insurance market. TrackMyRisks is bringing risk management automation to the mass market. We partner with Insurers, Brokers, InsurTechs and Consultants to provide their customers with class leading SaaS Risk Management software. TrackMyRisks gives users a common platform to build, manage, collaborate and evidence their risk program, regardless of their company size or sector. Urban Jungle make simple, smart insurance built for renters. Our founding goals were simple: make insurance that is easy and quick to buy, is fairly priced, and completely transparent. Verius Risk Solutions have built a custom graph database solution to host and manage their unique and rich data sources. 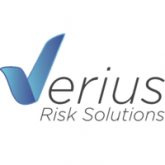 With data from over 3 million insurance claims and a billion fields Verius provide enrichment, risk and bespoke counter fraud solutions to insurance and financial services markets. VTX Partners is committed to reviving the entrepreneurial spirit within the insurance industry. We believe the future way of working is for insurers to build an ecosystem which seamlessly connects the entire insurance value chain and all its stakeholders. Wrisk combines Insurance and Technology in one simple app. Starting with contents insurance, Wrisk will expand its offering to serve the insurance needs across different aspects of people's lives. Working with partners such as BMW, Hiscoz, QIC and Munich Re, Wirsk aim to capture both market share and build an entirely new mass market too. yulife, the world’s first lifestyle insurance business, is on a mission to make the country healthier and happier. yulife makes it easy for companies to care for the financial, physical and mental wellbeing of their employees. yulife aims to create lasting, positive lifestyle changes by rewarding simple, everyday activities through their life insurance and technology platform.